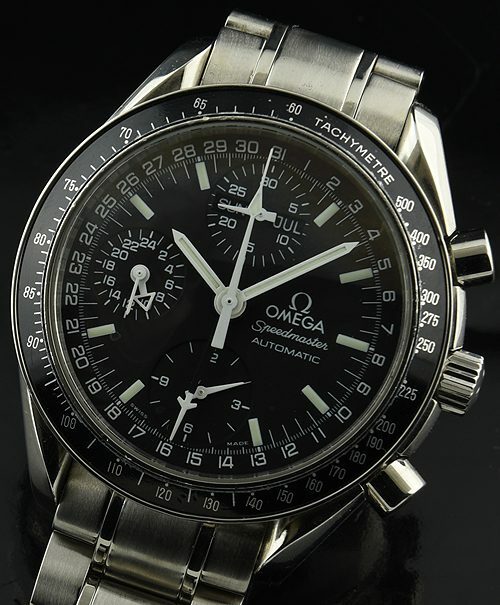 This is an OMEGA SPEEDMASTER automatic Triple Date Chronograph from circa 1995 having the automatic winding (recently cleaned) caliber 1151 complication movement featuring the Day, Date, Month, 24 hour, along with 30 minute and 12 hour chronograph functions all working perfectly. The crystal is domed sapphire. The original OMEGA bracelet and 39mm. stainless steel case of the watch are in fantastic overall shape. Notice the great looking black dial having white print. Please note-the # 12 in the 12 hour chronograph register is clear-it is just being blocked by the black section of the 24 hour hand. 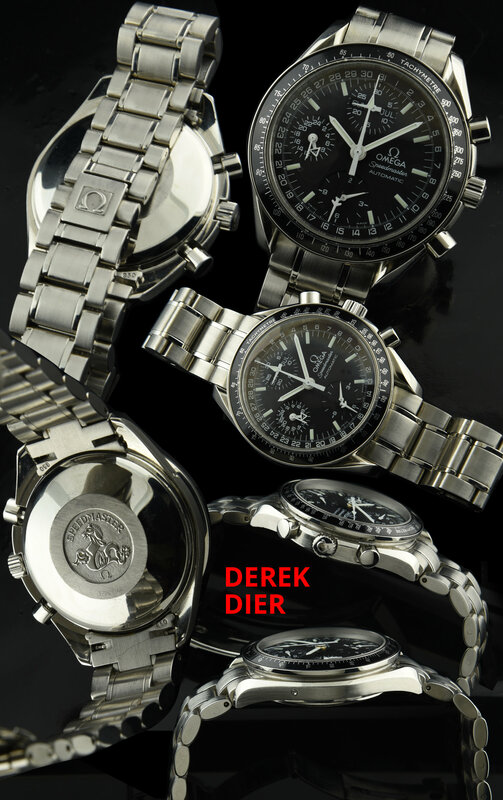 These fine OMEGA watches are in demand now and are selling quickly.